Professor Tunde Adeniran emerges Southwest consensus candidate as aspirants from the zone withdraw for his candidature a few hours before voting commences at the National convention venue. At the close of nominations, seven (7) Aspirants from the Southwest Zone obtained and returned nomination forms for the position of the National Chairman of our great party, the Peoples Democratic Party (PDP). 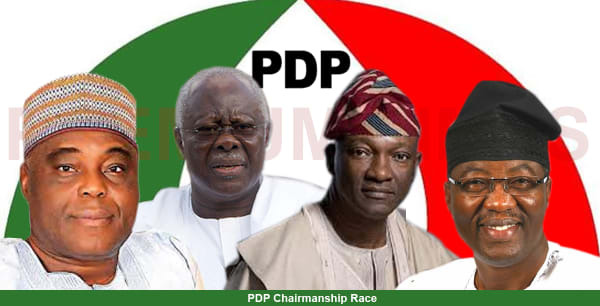 The opposition Peoples Democratic Party may be in for a fresh crisis as one of its staunch members and leaders,Chief Bode George withdrew from the chairmanship race. He did not quietly withdraw, he sent scathing words to those he claimed have hijacked the party. George, was a foundation member and former national vice-chairman of the party. For weeks as he campaigned around the country, he had his eyes fixed on becoming the chairman. Another contender vying for the post of Peoples Democratic Party Chairman, Jimi Agbaje, has withdrawn from the race. Jimi Agbaje, another aspirant to the office of the national chairman of PDP, has withdrawn from the race. The withdrawal was announced on his verified Twitter handle, @Jimiagbaje, on Saturday, few hours before the commencement of the national convention to elect new leaders for the PDP. In a letter addressed to the PDP National Convention Planning Committee, Mr. Agbaje said the PDP had from inception adopted the principle of zoning offices among the country’s geo-political zones. “In line with such zoning and other parameters I have at different fora, expressed my strong belief that the next National Chairman of our great party should come from the South West,” he said. A formidable contender for the PDP national chairmanship position, Gbenga Daniel, has stepped down from the race. He made this public in a letter addressed to the party on Saturday. Daniel was a former Ogun State governor and is the third candidate to quit after Bode George and Jimi Agbaje. The Senator representing Ogun East Senatorial District in the National Assembly, Buruji Kashamu has been suspended by the National Caretaker Committee (NCC) of the Peoples Democratic Party (PDP). This was announced in a statement via the party’s official twitter account. The reason for his suspension was not stated as at the time of this report. Kashamu’s suspension will last for a duration of one month. Founder of the Believers Loveworld Incorporated a.k.a Christ Embassy, Pastor Chris Oyakhilome, celebrated his 54th birthday yesterday. His family, church members and friends threw him a grand costume party. In attendance were US pastor, Benny Hinn, his daughter Carrisa, Gospel artist Sinach and others. According to an instagram user from Togo, here is a video and pictures shared on his instagram page. The woman buried her baby alive and was later arrested. This pulled crowd to the house and the spot where the baby was buried. Honestly, this woman does not deserve any form of mercy. She is evil. If she could do this, then, she doesn't deserve to live. A Nigerian born boxer faces being deported to Nigeria despite spending half his life in the UK. The London’s middleweight boxing title champ Bilal Fawaz has been stuck in an immigration “prison” for a week, with the 29-year-old having had numerous applications for UK residency rejected. The Nigeria Customs Service has intercepted various contraband with a duty paid value (DPV) of One Billion, Five Hundred and Ninety Five Million, One Hundred and Forty One Thousand, One Hundred and Forty Four Naira, Eighty One Kobo (N1,595,141,144.81). The seized items include: 64 assorted vehicles (mostly brand new), 13,333 bags of foreign parboiled rice (that’s like 22 trailers), 1,390 cartons of frozen poultry products, 835 jerrycans of vegetable oil, 15 parcels of Indian Hemp, 1,101 pieces of used tyres, 205 bales of used clothing among others. Pastor Enoch Adeboye, general overseer of the Redeemed Christian Church of God (RCCG) was ambushed during an early morning prayer walk on Wednesday. The story, narrated by him on Wednesday night, was one of the many highlights of the third day of Congress, holding at the Redemption Camp of the church, along the Lagos-Ibadan Expressway. According to the pastor, he was trying to look for a quiet place in the Camp, which is fast becoming a big town, at about 4am, when some people ambushed him for blessing. 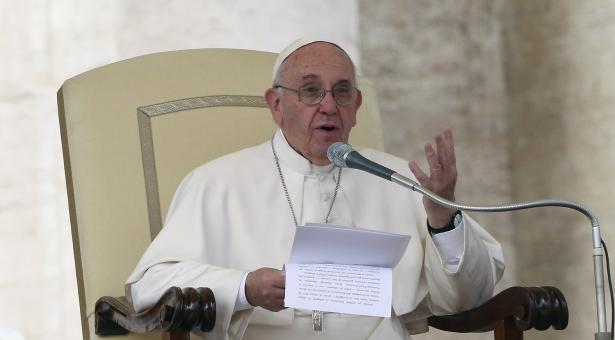 The high demand for meeting the pastor has often denied him privacy. Britons are battling snow blizzards and sub-zero temperatures as Storm Caroline continues to grip the UK. Snow showers are affecting parts of Scotland, Northern Ireland, Wales, northern England and the Midlands, with the potential for up to 20cm (8in) of snowfall as the day progresses. Wind speeds of up to 90mph have created an Arctic air flow causing temperatures to plummet, with yellow and amber severe weather warnings issued across the country for Sunday. Schools have been closed and commuters are facing havoc with cancelled trains and treacherous driving conditions, with Met Office forecasters warning motorists of dangerous, icy roads. Lows of -12C (10F) are expected by Saturday night in Scotland with temperatures struggling to get above freezing over the weekend, combined with bitterly cold winds. 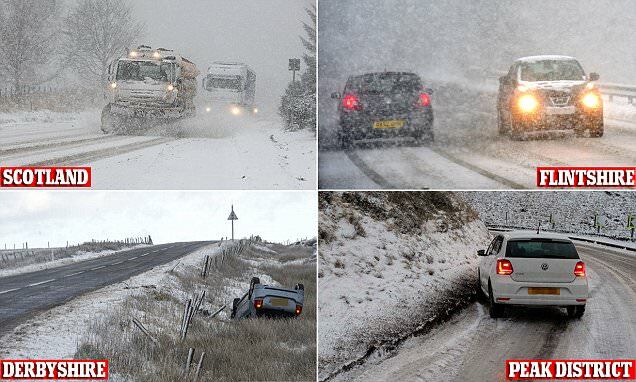 Dramatic pictures from across the country have already revealed a number of stricken vehicles which have crashed on treacherous roads in Scotland, Flintshire, the Peak District and Derbyshire. The FCT Police Command in a two-count charge accused Maryam, the daughter of a former Executive Director of Aso Savings and Loans, Hajiya Maimuna Aliyu Sanda, of killing her husband, Bilyamin Bello, the son of Alhaji Bello Halliru Muhammad, a former chairman of the People’s Democratic Party (PDP). Lady Exposes Woman Who’s Trying To Sleep With Her Husband; Shares Screenshots. A reader has sent chats – with us – she had with a lady who she claims tried her best to get laid with her husband after her husband made a gesture at her when they’d met at a car wash. According to our reader, the said lady found a tactic to reach her husband and had been disturbing him to get laid with her, our reader got to know and decided to block her but still, she found another to reach the man and kept on disturbing him. Journalists and supporters of former Vice-President Atiku Abubakar were, yesterday, shocked after the former vice-president came out from a meeting with former President Ibrahim Babangida with a long face reflective of a RED CARD shown to his 2019 presidential aspiration. Atiku, who arrived Minna airport to a cheerful reception from his supporters, breezed past the same supporters after a one and half hour closed-door meeting with Babangida during which the latter was said to have asked him to forget his presidential aspiration. 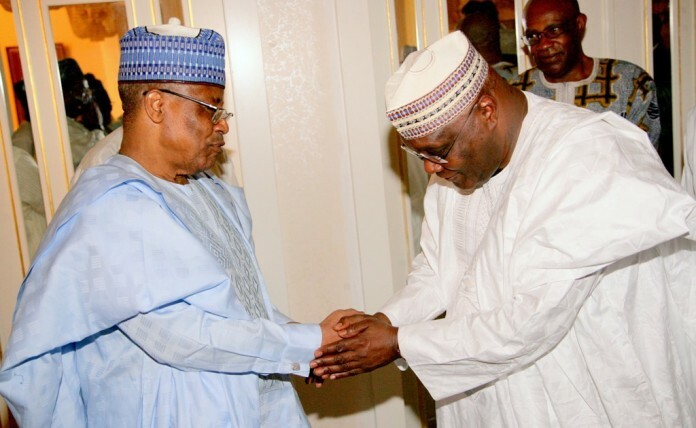 Former Vice President Atiku Abubakar is currently in a closed-door meeting with the former military president Ibrahim Badamasi Babangida (IBB) in Minna, the Niger State Capital. Atiku arrived the Minna International Airport at 12:10 p.m. and arrived Babangida’s uphill residence 20 minutes later. He was received at the Minna Airport by the Deputy Governor of Niger State, Ahmed Ketso; the State Peoples Democratic Party (PDP) Chairman, Barrister Tanko Beji; hundreads of PDP supporters and the by Head of Service, Yabagi Sule. 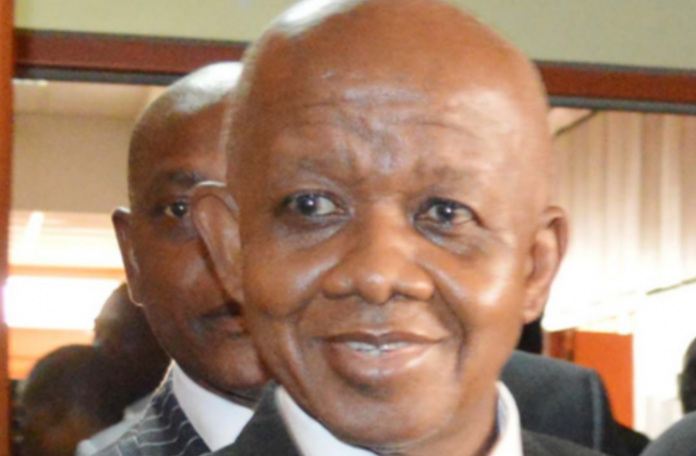 Justice Adeniyi Ademola, one of the eight superior court judges that were arrested after a sting operation conducted in October last year by the Department of State Service (DSS), has voluntarily retired from the Federal High Court bench. Vanguard reports that the Judge tendered his resignation letter to the National Judicial Council (NJC) late in the evening on Wednesday after he had presided over several cases, four of which were criminal matters. The Police in Katsina State have arrested one Salima Lawal, 30, of Marabar-Kankara, Malumfashi Local Government Area, for allegedly attempting to sell her twin babies. The twins are baby girls and less than two months old. The Commissioner of Police, Besen Gwana, disclosed this to newsmen on Wednesday in Katsina. Mr. Gwana said the woman had approached a person (name withheld) in Faskari Local Government Area of the state and negotiated to sell the twins to him at the cost of N350,000. A Nigerian lady Miss Ibu Faith has bagged distinction in MSc in Asset Management Engineering from University of Bedfordshire,UK. Sagamu town in Ogun State is currently in celebration mood as the new Akarigbo of Remoland, Oba Babatunde Ajayi, will be officially installed, and given a staff of office by the state governor, Senator Ibikunle Amosun. Residents and guests in their thousands are already seated at the venue of the event, Gateway International Stadium, Sagamu, waiting for the commencement of the programme. US President Donald Trump has sparked fury across the Middle East with his announcement yesterday (bottom right) which changed decades of American policy. 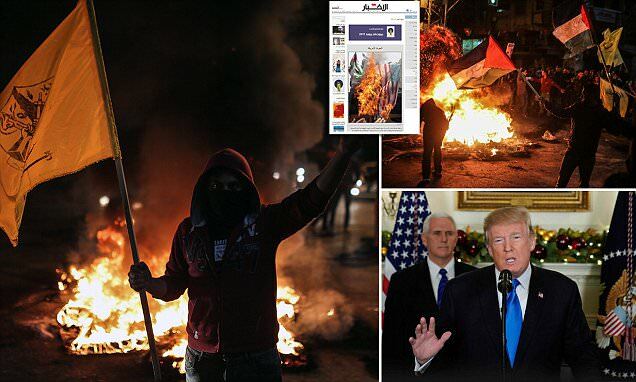 Lebanon's pro-Hezbollah newspaper al-Akhbar today declared 'Death to America' on a front page (inset) showing a burning US flag and called the decision 'America's new Balfour' referring to the Balfour Declaration in which Britain endorsed the establishment of a Jewish homeland in the Middle East a century ago. Nollywood actress,Eucharia Anunobi painful recounts how her son died (photos). Nigerian Veteran Actress, Eucharia Anunobi took to Instagram minutes ago to share a painful past that keep taunting her of no longer been a mother she used to be,faced with the terrible sadness of loosing her only son Eucharia Anunobi recounted how slowly her son died and she was unable to do anything even when she tried her best it all turned out that her best wasn't enough. Recall that in the 2nd of August this year,Eucharia Anunobi's son was laid to rest in his hometown, present were some Nollywood actors and actress that came to pay their respect, how sad it is for a mother to loose her only child. 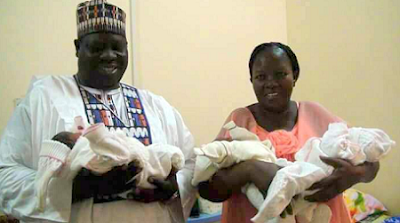 The wife of a member of the Adamawa State House of Assembly, Lumsambani Dilli, has delivered triplets. “Both the mother and the babies are all hale and hearty,” said the new father. You started a private school at 27 at a time when such venture was a preserve of retired teachers. How did it happen? Back in my secondary school days at St. Loius, Ibadan, I was good at mathematics and my father, who was an accountant, felt I would make a good accountant. Unfortunately, I had a baby immediately I left secondary school. My father was very angry with me and I was angry with myself as well. Has Gov Rochas Okorocha Turned Himself And Imo People Into Objects Of Global Mockery? 'What do the people of Imo state want, Mr. Governor? They want prompt payment of salaries to make them happy. When they feed their families and meet their obligations, they will be happy. Friends and family of the Editor of Ovation International Magazine, Mike Effiong James and his other siblings came from all across the world to Ibesikpo Asuntan local government area of Akwa Ibom State to register their love and support for the James family as their matriarch, Princess Affiong Gregory James was laid to rest in Akwa Ibom. Clutching a plastic bag laden with cans, Meghan Markle ’s reclusive dad shows the pair both love De Beers. While her engagement ring is rumoured to contain some of the diamond company’s gems, her father has been downing lager to toast her forthcoming marriage to Prince Harry. As the royals quaffed champagne, Thomas Markle Sr, 73, has spent nights in with just some beers for company. Amid rumours he and Meghan have a strained relationship, he emerged from hiding to run errands in his hometown in Mexico then went to a store for cigarettes and the four-pack of Heineken. e also said the United States embassy in Israel would, over time, be moved there from Tel Aviv. Israel is the only country where the United States has an embassy in a city that the host nation does not consider its capital. 'I have determined that it is time to officially recognize Jerusalem as the capital of Israel,' Trump said. 'While previous presidents have made this a major campaign promise, they failed to deliver. With reports of their marriage being in trouble, Dr. Sid's wife, Simi, may have just confirmed that this is indeed true. Fashion designer recently shared a photo on IG which showed her ring finger bare. Dreams are succession of images,emotions, ideas and sensations that occur involuntarily in our subconscious mind when we are asleep. It is a cherished aspirations, ambition or ideals. Dreams are beautiful in the sense that it let us foresee and create the impossibilities that we can actually make possible. It like a seeds or a master plan that we are to nurture or accomplish. Most dreams give us a cue on how to solve the pending problems we have in the real world. Have always ask myself, is it possible for an individual to go to sleep without dreaming? Well have come to a realisation that,anytime we go to sleep, our minds goes to work. Our thought and our imaginations helps the minds create the motion pictures for us in the dream realm to watch. New Nigerian High Commissioner to the United Kingdom Retired Supreme Court Judge Oguntade and Her Majesty Queen Elizabeth II. Queen Elizabeth II, the Queen of England, today held an audience and received a Letter of Credence from Nigeria's new High Commissioner to the UK, retired Supreme Court Judge Mr. George Adesola Oguntade at Buckingham Palace, London. Ambassador George Adesola Oguntade, CFR, CON, High Commissioner of the Federal Republic of Nigeria to the United Kingdom assumed duty at the Nigeria High Commission on 9th October, 2017. He is a retired Justice of the Nigeria’s apex court, the Supreme Court of Nigeria. The ambassador is the first substantive High Commissioner since Dr Tafida Dalhatu was finished his tour of duty in 2015. In the past 2 years, the UK has had 2 acting Nigerian High Commissioners at the court of St James. Ambassador Kunle Bamgbose was the acting High Commissioner before he handed to Simon Ogah also in an acting capacity till he was recalled earlier this year. Watch Live! Shiloh 2017: Day 2, Tagged "A New Dawn"
After a groundbreaking performance as Jobe in Picture Perfect, Ninalowo has become a household name. Seeing him play that role, one would not believe the uneasy start the actor had in breaking the movie and entertainment industry in Nigeria. From quitting acting to launching a record label, Ninalowo speaks to Guardian Life about his life as an actor. My journey began in 2010 on relocating to Nigeria. Acting was my core area of interest so I decided to give it a try. Unfortunately for me at the time, I knew no one or had any ideas of how to get started so I took a chance in producing a movie titled Rebirth, with no experience or support. I then decided to give up the interest and started my record label, Diesel Music. I signed a few artists but within three years it failed and I lost all my savings. With everyone gone and seen as a complete failure by family and friends, all I could do was turn to God. I started to grow spiritually. By December of 2014, I was ready to take the first step in conquering my fears of failing again. I called my cousin Rukky Sanda for help, she gave me my first role that year and from that moment, every step led to another. Nollywood actress, Funke Adesiyan, has been dragged by her followers on Instagram over a message she made to her colleague Funke Akindele. Though she didn’t why the post was made, however fans think it was made over reports that the actress reportedly lost her twin pregnancy. 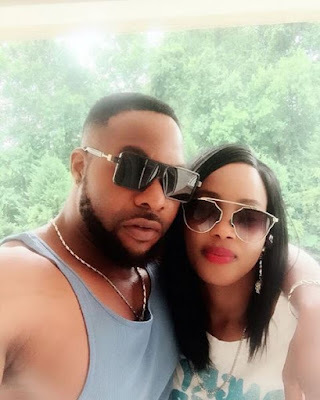 Bolanle Ninalowo, popularly called Nino is the latest hunk in town ruffling the wood of our Nollywood with our damsels falling over themselves to get on the ground-floor with him.Bolanle Ninalowo confirmed to Genevieve Magazine that his marriage his over. The estranged couple are blessed with two children, a boy and a girl. A group of prison inmates created a social media account and began live streaming from their cell with women calling in. The video was viewed live by over 200,000 people. Most of the people calling into the show were women. The men have now become famous from their prison cell as the video is still circulating online. A woman gave birth three days ago to a baby whose gender is yet to be known in a dispensary along otukpo road Makurdi, Benue state. According to the mother, she claimed she never for once went for anti-natal till the birth of the baby. The things we see on social media these days. A young girl from South Africa, Míllíćént O’Nókuthúlà Mśizá, proudly flaunted her bare breasts on social media for all to see. 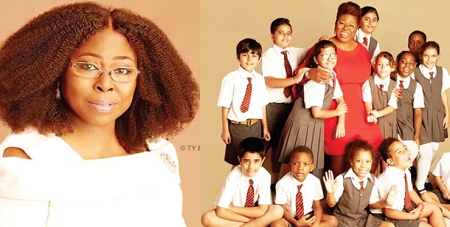 Joke narrated: “Everybody would be calling me whenever my adopted mum (Dr. Silva) came with cakes and a lot of things during her visit. I went to YWCA Nursery, which was not too far from the Silva’s home in Yaba. I also have memories of moving in with them when they moved to Glover Road in Ikoyi. Cross River State Command of the Nigeria Immigration Service (NIS) arrested 62-year-old Angela Nwaelechi at the Margaret Ekpo International Airport in Calabar, while on her way to Lagos with a 4-day-old baby girl for trafficking purposes, after tricking the baby’s 16-year-old mother, Oma Samuel. Members of the House of Representatives on Tuesday honoured two Nigerian students Mr Kamaldeen Abdulsalam a former street beggar and Miss Ariola Olaiya, OAU Medical Record breaker for their outstanding feats in academics. The House leader, Femi Gbajabiamila, (APC,Lagos), moved the motion on Tuesday, asking the House to dedicate part of its Tuesday plenary session to Miss. Ariola Olaiya Blessing and Mr. Abdulsalam Kamaldeen Idowu for their rare feats in their respective fields of study. He brought the motion under matters of urgent public importance tagging his point of order as ‘Parliamentary honour for exceptional young Nigerians’. According to online report, the newly born baby in the first photo below was rescued alive after being abandoned near JNI office in Birnin Kebbi. Despite Facebook’s chief operating officer Sheryl Sandbergwarning of a potential backlash against women as scandals rock companies and political institutions, the social network continues to ban women speaking out against men as a group. To have a rancour-free convention and install the national chairman, Peoples Democratic Party (PDP) governors will compile a “unity list” of candidates who delegates will vote for, The Nation learnt last night. The list is said to be the governors’ joker to checkmate the influence of ex-military President Ibrahim Babangida and former President Goodluck Jonathan on delegates. The “unity list” may be out on Friday, about 24 hours to the December 9 convention. It was learnt that the North’s delegates had become divided over two candidates – former Acting National Chairman Uche Secondus and former Education Minister Prof. Tunde Adeniran. The security services believe they have stopped an Islamist suicide bomb plot to assassinate the Prime Minister. Two Muslim men are suspected of conspiring to attack Downing Street armed with an improvised bomb, suicide vest and knives. Investigators suspect the pair wanted to detonate a bomb disguised as a bag. 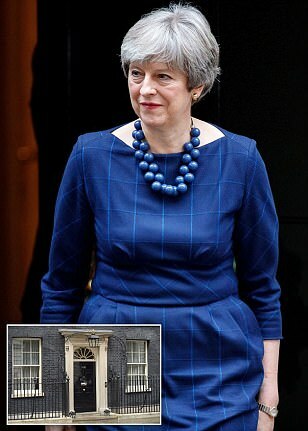 They would then attempt to kill Theresa May armed with a suicide vest, pepper spray and knife in the chaotic aftermath. Naa'imur Zakariyah Rahman, 20, and Mohammed Aqib Imran, 21, will appear at Westminster Magistrates' Court on Wednesday charged with planning terror attacks. The alleged conspiracy was foiled after a joint operation by Scotland Yard, West Midlands Police and MI5. Security chiefs stepped in amid fears the men were preparing to launch an attack, arresting them at gunpoint. However, although they appear to have been inspired by Islamic State it does not appear they were able to obtain or build any explosives. The smashed plot highlights the extreme threat still faced by the UK in a year blighted by terrorist atrocities which claimed 36 lives. Counter-terrorist chiefs said it was the ninth foiled plot since March as hundreds of terrorist suspects remain under investigation. Eating between 825 and 850 calories a day for three to five months put the disease into remission in almost half of patients in a new study. 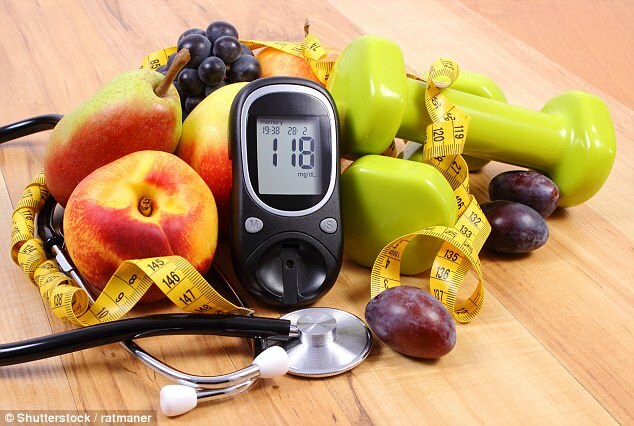 It showed that participants, who were instructed to slowly reintroduce more food, after one year had lost an average of 10 kilos (22 lbs), and half had maintained remission without antidiabetic medications.